This week’s Health Policy Roundup curated by Jane M. Orient, M.D. The Democrats’ worst nightmare is happening, writes Michael Cannon. 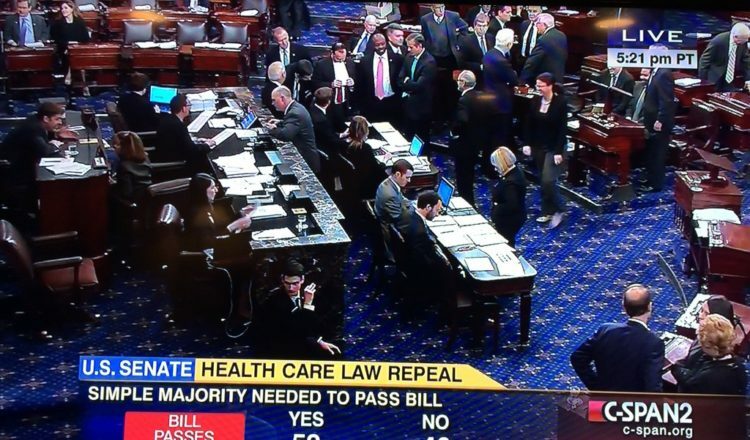 The Senate passed a bill that would repeal most, but not all, of the Affordable Care Act (ACA). “The individual mandate, employer mandate, Medicaid expansion, Exchange subsidies, much of the corporate welfare, and some of the worst taxes, would fall. The Original Sin of Obamacare—its community-rating price controls—and other health-insurance regulations would remain.” Also, the bill would not repeal the Medicaid expansion and Exchange subsidies for two years, but it is still superior to the House partial repeal bill. 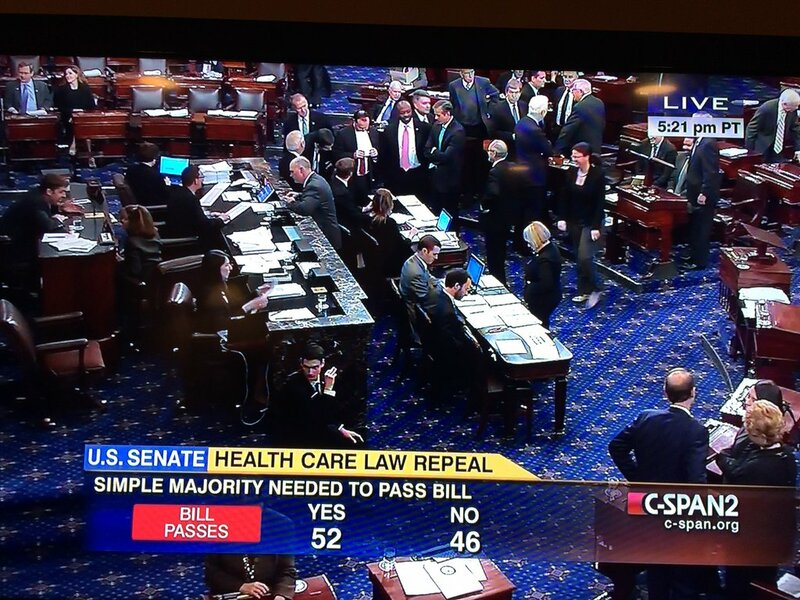 Obama is expected to veto the bill, but even Democrats are getting nervous, as ACA continues to implode on its own. The Obama Administration is seeking a taxpayer-funded bailout of insurers. Despite huge benefits from ACA, including $26 billion in direct subsidies, insurers probably lost $4 billion selling ACA plans in 2014. Despite the lack of a congressional appropriation, the administration delivered an additional $3 billion to insurers through a cost-sharing reduction program. The House of Representatives has sued the administration over these payments and the case is advancing through the federal court system, writes Brian Blase. http://www.forbes.com/sites/theapothecary/2015/11/30/will-there-be-an-obamacare-bailout-of-insurers/.